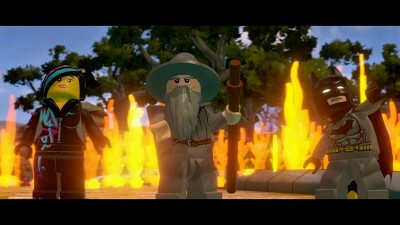 There had been rumors of Lego jumping on the toys-to-life bandwagon for the past few months, and now it has come to fruition: LEGO Dimensions. It’s a new video game from Warner Bros. and Travelers Tales (who’ve made all the previous Lego games) and you’ll be be able to buy Lego toys that will scan into the game on a portal via NFC. The portal and game starting pack (which includes Wyldstyle, Gandalf, and Batman with a Batmobile) will run you $99 and after that you can pick up Fun Packs ($15 for a figure and vehicle), Team Packs ($25 for 2 figures and 2 vehicles), or Level Packs ($30 for 1 figure, 2 vehicles/weapons, and 1 new level). Some of the brands involved are The LEGO Movie (obviously), Lord of the Rings, DC Comics, Back to the Future, The Wizard of Oz, and Ninjago, with more on the way. No matter what you’re into, there will probably be a Lego version for you to spend ridiculous amounts of money on. I’m a little disappointed there’s no way yet to build something in the physical world and scan it into the game, but hey, I guess that’s still a little on the “not doable on a commercial level” side. 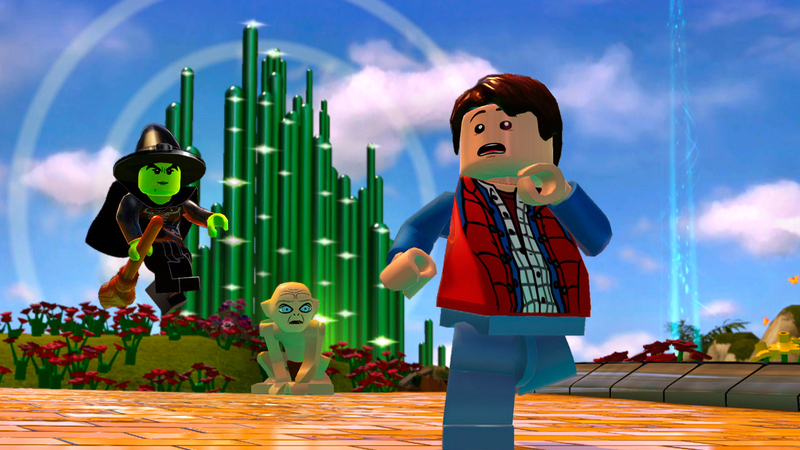 Here’s the trailer for LEGO Dimensions.